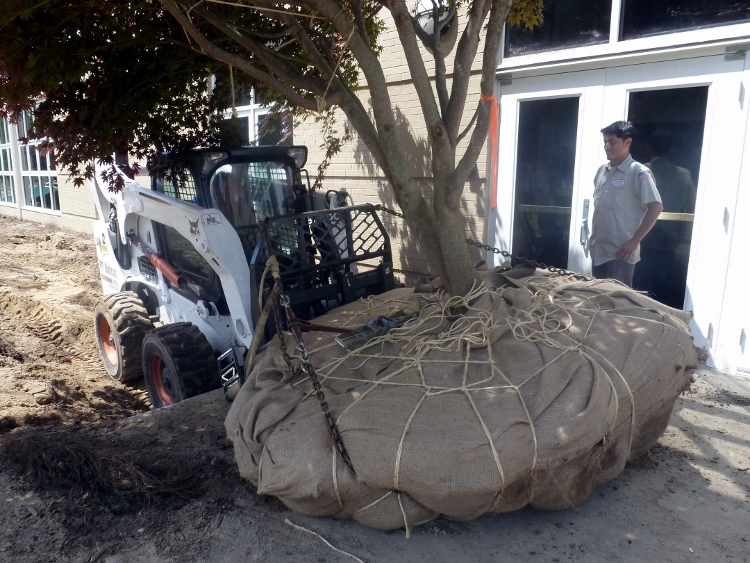 Our Tree Spade allows us to transplant or “move” large trees from one location to another either on the same property or to a new location. 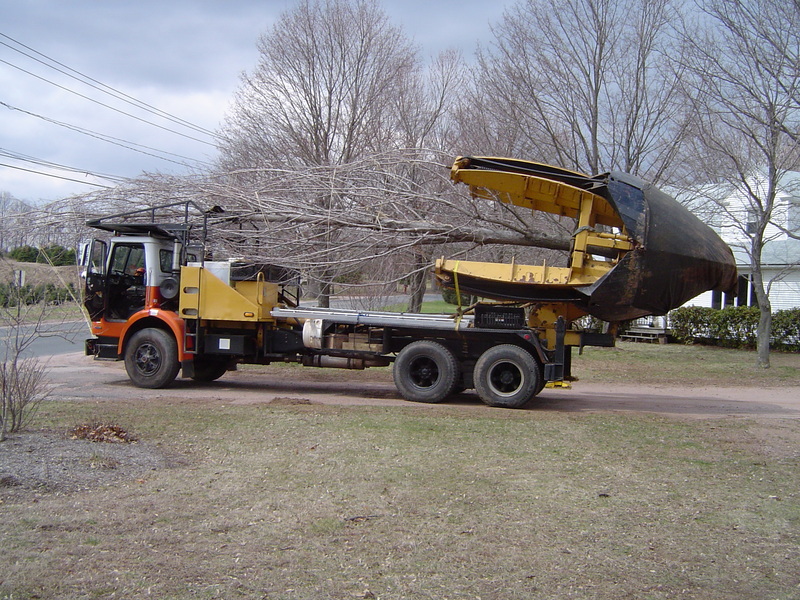 We specialize in large tree moving in Connecticut and Massachusetts. 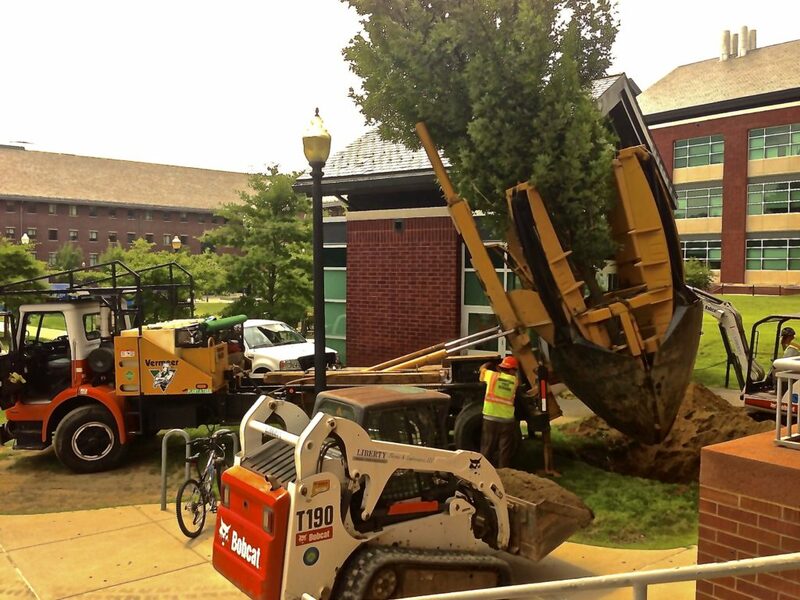 We can move trees of any size! Tree Moving can be beneficial to both the health and vigor of the tree as well as the aesthetics of any property, new or old. In the picture below, you can see the impact of installing mature trees on a new home’s landscape. 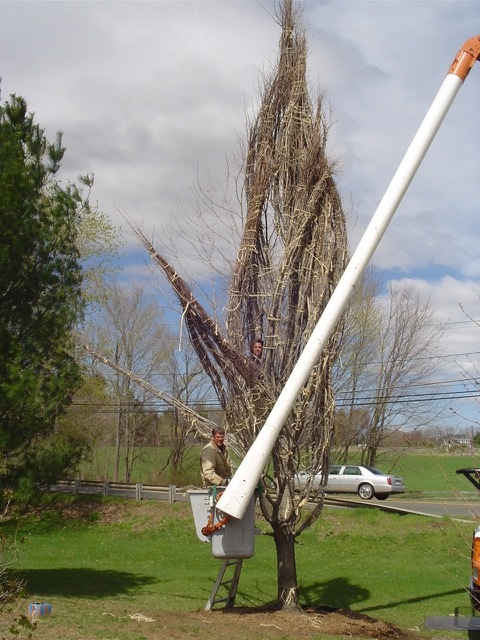 Tree moving, unlike some other aspects of the industry, is truly an art form. It takes a keen eye and a delicate touch to safely and correctly move a tree. As you can see, our Tree Spade is capable of moving large trees by opening and closing all 4 spades to dig a new hole, removing the tree from its current location, and gently plant the tree in it’s new hole. Tree Planting: The addition of trees to your property can bring many benefits. Not only can they be very visually appealing, but they can also enhance the wildlife habitat. It may seem simple but the decision to plant trees can be stressful and confusing, but after a conversation with one of Mountain Tree Service’s arborists we will have you feeling confident and at ease with whatever your decision may be.